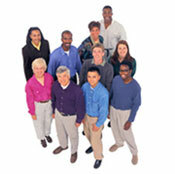 I & T Produce Company has a dedicated sales staff with extensive wholesale and retail experience. Our customers enjoy fresh produce year round. Daily communications with our growers to ensure the highest quality and availability. Our exclusive relationships with growers, gives our customers access to premium product lines. We can fill any size order...large or small. We maintain a fleet of radio equipped, refrigerated vehicles to ensure timely deliveries. Copyright © 2005 - I & T Produce Company, Inc.